As gift cards become more popular with consumers and merchants, criminals also want a piece of the holiday pie. As criminals get savvier, they are finding new loopholes to exploit, and e-gift cards are increasingly becoming a lucrative way to commit fraud and to launder money. 'Tis the season for online shopping, and business is booming for the gift card sector. With the gift card industry expected to reach $160 billion by the year 2018, gift cards are only going to become more popular during the holiday season. Gift cards are an easy and convenient way to get a little something special for loved ones, but there are endless options on marketplaces where gift cards are sold for a discount, making them even more appealing. How Extensive is Gift Card Fraud? Gift card fraud is rampant online, spiking between Black Friday and Christmas. 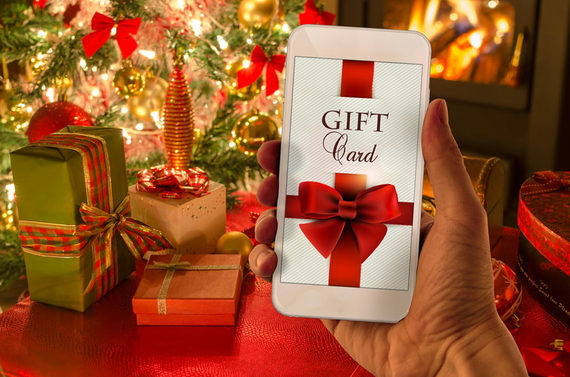 Based on data from hundreds of millions of transactions from global retailers during the 2014 and 2015 holiday shopping season, electronic gift cards have the highest fraud attempt rate; in 2015, 9.5 percent of all online fraud attempts were on downloadable e-gift cards. The rise of online shopping has been a significant driver behind the segment's growth. Many shoppers are going online in droves, with the most recent Black Friday online sales hitting an estimated record spend of $3.34 billion -- a 21.6 per cent growth, year-over-year. With so many holiday orders, the chances of merchants risking a cancellation of a legitimate order or chargebacks are high, causing them to potentially lose sales and leaving a trail of unhappy customers if they are not well prepared to handle the volume of orders. Gift card fraud is also part of a growing worldwide trillion dollar problem - money laundering. In Canada alone, authorities estimate that organized crime are using the gift card loophole to launder money to the tune of somewhere between $5-billion and $55-billion a year. Why this is an attractive way for money laundering is clear -- there's relative anonymity without the need for buyers to disclose their identity. This makes it easy to store money on a gift card without leaving a trace. Unlike Canadian banks and financial institutions that have a legal obligation to disclose transactions involving in excess of $10,000 to FINTRAC, gift cards are not considered monetary instruments, therefore, there is no requirement for merchants or sellers of gift cards to track, record or report suspicious transactions. That means, someone can load a gift card with the intention of money laundering thousands of dollars, bring it across Canadian borders without declaration, and have no legal repercussions or have the gift card seized by authorities, not yet at least. 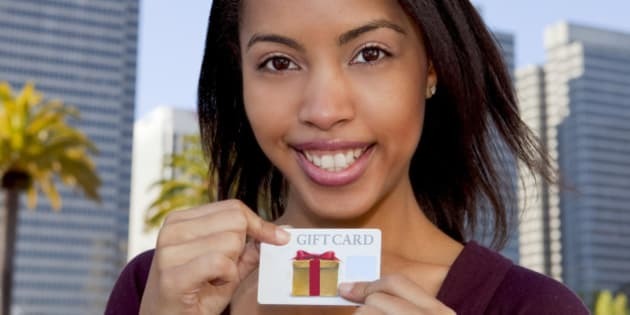 Although the gift card loophole is a growing concern, casting sweeping regulations to tighten the industry and requiring customers to jump through hoops to purchase gift cards may not be the answer. In addition, the vast majority of gift card crimes are in small amounts, and imposing cost-prohibitive rules will be cumbersome not only for merchants, but for legitimate customers. However, there's no question that reforms and immediate action needs to be taken to stem the flow of illicit funds within the gift card sector. The logical step would be to expand the use of Regulatory Technologies (RegTech) solutions to the retail or ecommerce sector, which are increasingly adopted by financial technology firms, financial services providers, and global banks. RegTech such as Identity Verification tools helps businesses instantly identify and verify customers electronically. Financial institutions use these bank grade tools daily to satisfy compliance obligations and to weed out bad actors before they can commit fraudulent transactions or financial criminal activities, such as money laundering, terrorism financing or arms proliferation. Merchants and retailers that integrate electronic Identity Verification tools are able verify the identity of the cardholder and check it against fraud and AML watchlists upon online registration. For example, a retailer can verify the full name, address, and date of birth of the cardholder by checking the customer data against records from credit bureaus, government, utility files, telecommunications and other reliable data sources. By checking against the records, a positive and seamless ID verification process can keep legitimate customers happy, while shutting out criminals. This also helps the merchant de-risk and cancel the order if they feel any transaction may be fraudulent. As gift cards become increasingly popular, merchants will continue to struggle with dealing with gift card fraud and suffering losses through chargebacks. They are in a tough spot as they are liable for fraud charges if they unwittingly enable fraudsters to money launder or commit fraud on their site. There's no one solution for the problem, but one thing is clear -- the gift cards as a loophole for online fraud and money laundering is a gift that keeps on giving for criminals.